Kicking off the night was “The Selfie-Made” Man Vern Vicallo, who arrived on scene to boast about his undefeated streak in NCW (having only debuted the last month). After challenging anyone in the locker room to a fight, the challenge was accepted by former NCW Tag Team Champion “All Good” Anthony Greene! – “The Selfie-Made Man” Vern Vicallo d. “All Good” Anthony Greene after Greene hit a picture perfect cutter off the middle rope only to have Vicallo roll to the outside avoiding the pin. As AG threw Vicallo back into the ring “The Selfie-Made Man” took advantage small packaging Greene for the win in a huge upset. – “Dynamic” Jon Thornhill defeated “Sensational” Scott Levesque after senior official Redd Roche came out and forced TJ Richter to restart the match after Levesque won under dubious circumstances while grabbing a handful of tights. 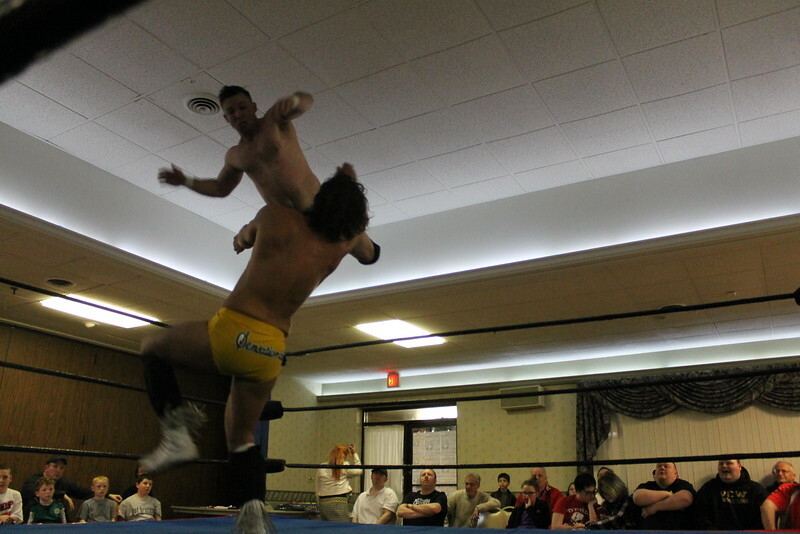 A furious Richter restarted the match, allowing Thornhill to hit his patented frogplash for the victory. Thornhill launches into the air against Levesque! – Frank, Triplelicious‘ larger than life bodyguard picked up a win over the 2014 Rookie of the Year Christian Casanova as Casanova did his best to take the big man off his feet, After finally bringing Frank down Christian found himself distracted by Triplelicious’ music, giving Frank the opportunity to nail his ‘Frank Slam’ on Casanova for the three count. 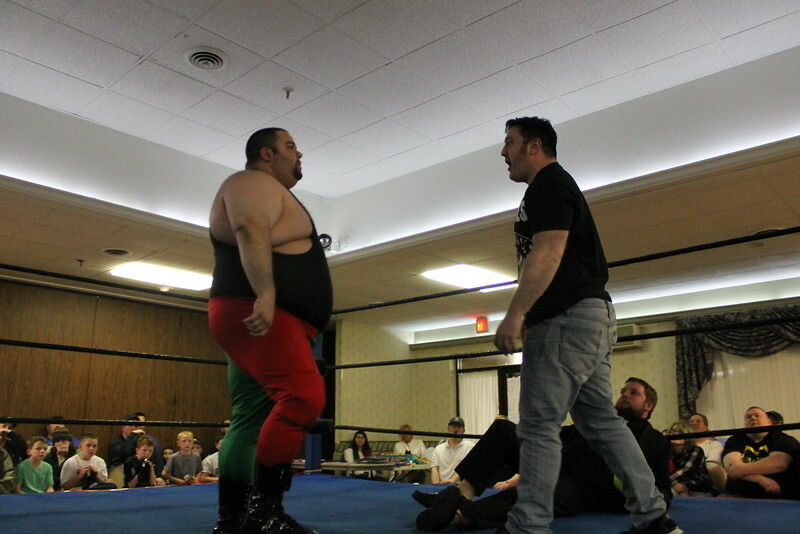 Before Frank could put anymore hurt on Christian NCW Commissioner Dean “The Beast” Livsley showed up to break things up. “Toxic” Tom Warren brought out “Ruthless” Ruy Batello for an interview, as Warren looked to get answers about what’s been happening over the last few months and Batello’s association with The Underground Anarchy. An irate Batello warned Tom to change his line of questioning, as Ruy denied any cooperation between him and The Anarchy. Finally having enough Batello shoved Warren to the ground, but before he could attack Tim Kilgore intervened trying to calm Ruy down. “The Ruthless One” then took his aggression out on Kilgore, laying him out with a vicious kick of the face followed by his ‘Portuguese Drop’. 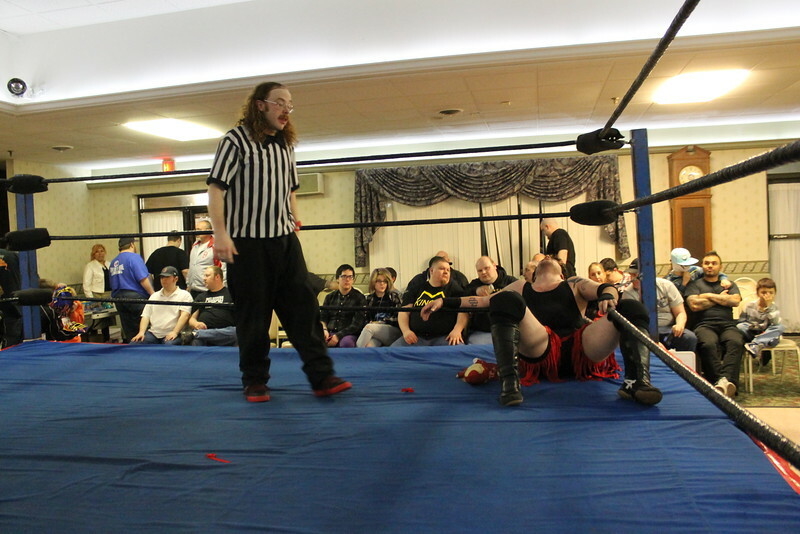 Before any more harm could come The Lumberjake ran out to force Batello out of the ring. Batello comes face to face with Tim Kilgore. The Underground Anarchy (“Bam” Brandon Behm, “Slamdance” Tim Lennox, and “Black Magic” Sean Feeney) made their way out to the ring for the NCW Tag Team Gauntlet for the Gold, celebrating Sean Feeney’s birthday and glossing over their attack on “The Original Showoff” Mike Paiva at the Friday Night Fights. The Anarchy promised to win the NCW Tag Team Championship again tonight. – NCW Tag Team Champions The Loomis Brothers defeated The Heavy Hitters to win the NCW Tag Team Gauntlet for the Gold after David Loomis threw a devastating bicycle kick to Champion from the outside, allowing Eddie Loomis to pin him from inside the ring. Following the match, both Champion and Cash stared the brothers down, before embracing the Tag Team Champions. The Underground Anarchy (“Bam” Brandon Behm & “Slamdance” Tim Lennox) w/ “Black Magic” Sean Feeney defeated Drew Solo & Carlos Gabriel in dominant fashion. The Underground Anarchy d. the debuting Influence (Mike Montero & Jason Devine) in a great back and forth battle. The Heavy Hitters (Champion & Cash) defeated The Underground Anarchy via disqualification when Feeney was caught cheating with weapons he had hidden at ringside. 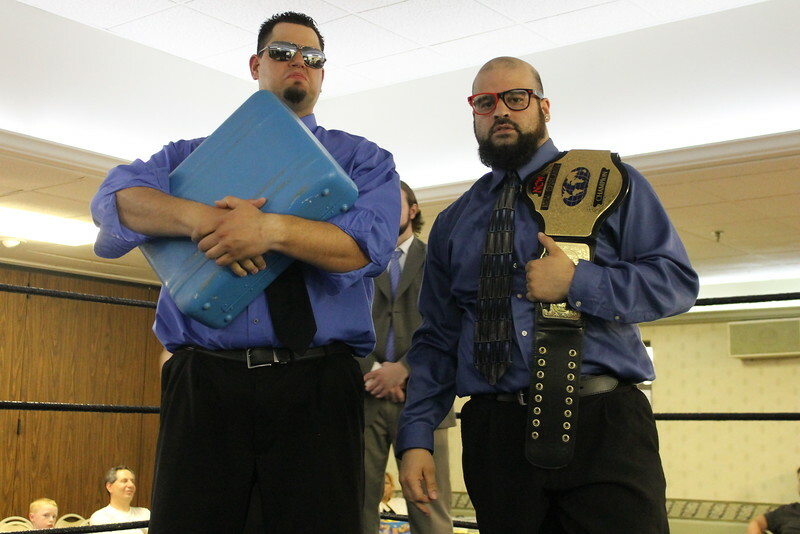 The Loomis Brothers (David & Eddie Loomis) d. The Heavy Hitters to retain the NCW Tag Team Titles. As NCW came back from Intermission “Black Magic” Sean Feeney joined Tom Warren at the commentary table, replacing the injured Tim Kilgore. – “The Mastodon” Brick Mastone defeated “Simply God’s Best” GA West w/ Doc Ozone with a massive overhead suplex, dazing the former New England Champion long enough to allow the rookie Mastone to pick up the win as the path for redemption is still a long ways off for the conflicted West. – “The Native American” Tomahawk d. “Dastardly” Doug Summers w/ Ashley Vox in the fantastic Native American Strap Match, which saw Summers inadvertently crash into his manager Vox as they tried to take down Tomahawk together, allowing “The Native American Warrior” the opportunity to hit a huge chop off the ropes onto Doug’s skull and knocking him out long enough to hit all four corners of the ring to pick up the victory. – “Ruthless” Ruy Batello defeated The Lumberjake under very questionable circumstances thanks to the officiating of TJ Richter. Things went south early on when Batello informed Redd Roche that he was filing a restraining order against him and would not be the official for their match. Richter then warned both competitors that this would be a wrestling match, and any brawling would not be tolerated. After cutting Lumberjake down at any chance of momentum, a miscommunication between Ruy, Richter, and Jake’s trusty 4×4 Gordon saw TJ smash the wood into Lumberjake’s face, allowing Batello to steal the win. Before any more punishment could be inflicted, Mike Paiva showed up still bandaged from his fireball attack to run Batello off. – NCW Heavyweight Champion “RIOT” Kellan Thomas w/ Kepler d. NCW New England Champion Triplelicious w/ Frank to retain the NCW Championship in another fantastic match, with Thomas hitting a vicious running knee into Trip’s skull to pick up the win. Frank had once again tried to intervene, but Dean returned to even the odds knocking Frank down and allowing Kellan to finish the match one on one. Unfortunately for Kellan Trip once again stole the NCW Championship, booking it right out of the building with “The Beast” chasing him out. 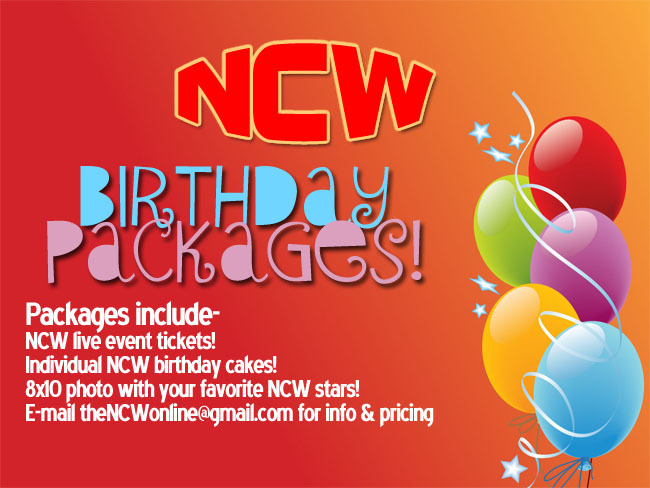 Previous Post#2015REUNION Tonight in Norwood!Next PostPRESS RELEASE: NCW’s Aftermath of REUNION Friday June 19th!